© 1979. Published by National Research Council of Canada. 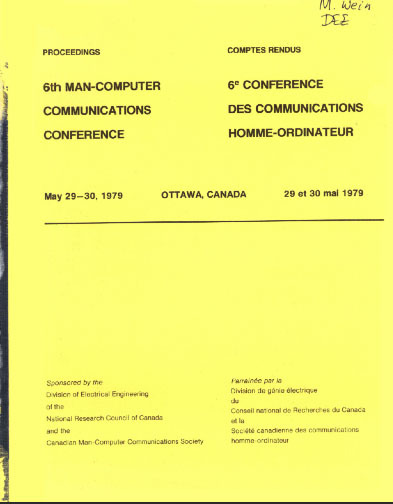 The sixth Man-Computer Communications Conference was sponsored by the Division of Electrical Engineering of the National Research Council of Canada and the Canadian Man-Computer Communications Society. Twenty-four papers were presented, two of which were withdrawn by the author from the proceedings.